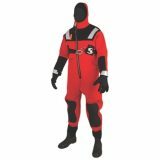 The Mustang Survival Near Shore Water Rescue Vest delivers a more compact, light weight solution for rescue vests, while still providing 15.5lbs of buoyancy to the wearer. 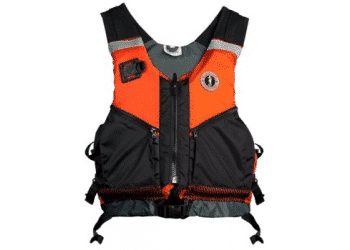 This bright orange and black vest with reflective tape on the front and back is easliy visible in and around the water, while the Fast Tab on the front chest acts as an easy attachment points for accessories such as knives, scissors or strobe lights. 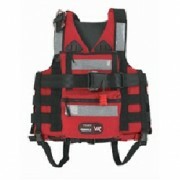 With a comfortable fit, the Mustang Survival Near Shore Water Rescue Vest is excellent for continuous wear.